Set of 2 wall lamps. 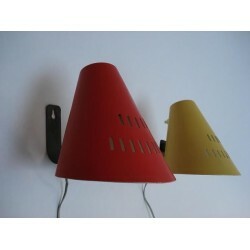 The wall lamps are identical, but differing in colour are red the other one yellow. Especially the wall affirmative and the form of the caps are very beautiful. 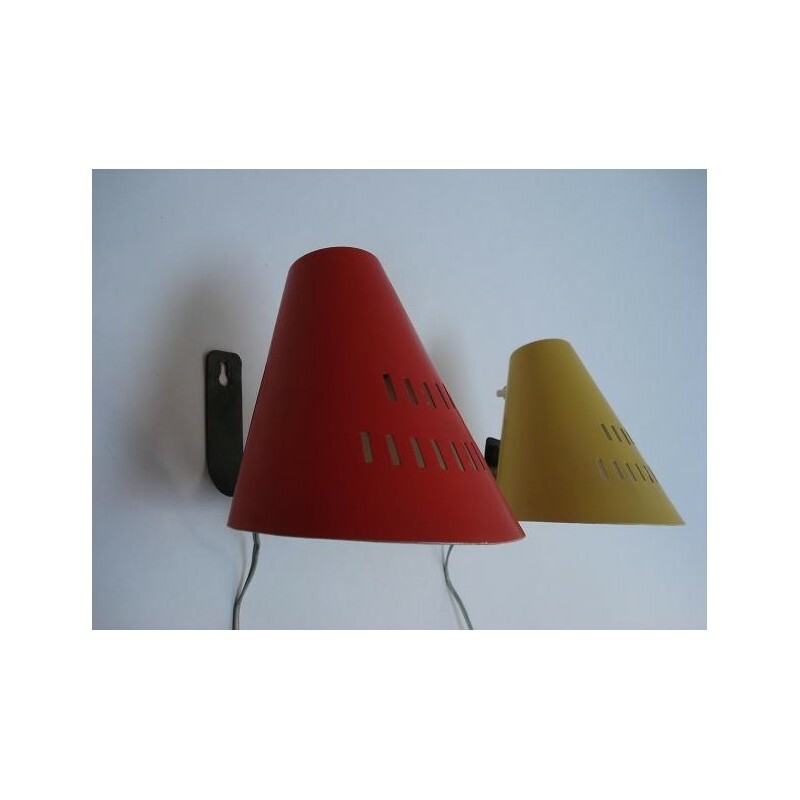 The lamps find oneself in good vintage condition. The dimension is 13 cm in diameter and 16 cm high.